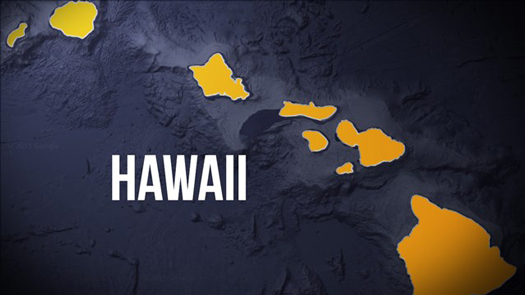 NEW YORK (AP)—Hawaii consistently ranks among the healthiest states, but a federal survey found Native Hawaiians are in unusually bad health. Native Hawaiians—descendants of Hawaii’s original Polynesian settlers—are in worse health than many other Americans. They were more likely to suffer asthma, diabetes and obesity. They also were more often under severe psychological stress, and were less likely to say they are in good health, according to the report released July 21. The study, by the Centers for Disease Control and Prevention, is the first national look at the health of Native Hawaiians and Pacific Islanders. It’s based on interviews with 11,000 people in 2014, as part of an effort to get better health data from these populations. Hawaii tends to top the health charts. It’s was No. 1 for five straight years, according to rankings released annually by United Health Foundation. But “we have always contended that our ranking fails to acknowledge some of the severe disparities in our population,” said Ranjani Starr, an epidemiologist with the Hawaii State Department of Health. The state’s health profile is complicated. “It attracts healthier people with higher incomes who can afford to live there,” said Sela Panapasa, a University of Michigan researcher who studies the health of Pacific Islanders. Roughly a quarter of the state’s population is considered Native Hawaiians or Pacific Islanders, and many of them are low-income. The latest results echo smaller studies. But it’s important because it offers the best look yet of health conditions in different groups of Pacific Islanders, experts said. A striking finding: one in four Native Hawaiian children and adults have had asthma, making it nearly twice as common in that group than in other Americans. Hawaii health officials believe it’s related to Native Hawaiians’ higher smoking rates. -Obesity and diabetes are more common in Samoans than in any other group of U.S. adults. But American Indians and Alaska Natives fare worse in many other categories. -Nearly 40 percent of Native Hawaiians are obese. That’s about the same as what the survey saw in Black adults, who have the highest obesity rate among the largest U.S. population groups. -About 14 percent of Native Hawaiians have diabetes, higher than Whites and Asians. -About five percent of Native Hawaiians said they experienced recent and severe psychological stress, compared to three percent of U.S. adults overall.